Visiting Stonehenge in Amsebury, UK is a once in a life time opportunity. Find out how to get there, where to stay and how to visit Stonehenge. Stonehenge is perhaps the world’s most famous prehistoric monument. As we were house sitting in Wiltshire, only an hour away, we decided on a day excursion. Visiting Stonehenge is truly an extraordinary experience. As children we watched many tv programmes about the mysteries of the henge, so a Stonehenge trip was always going to be on our list. The bonus of going on a sunny Winter’s day is that we didn’t have to fight huge crowds to get close – and we could even take photos which gave the impression we were there alone! We have never seen a human-made structure as old. One of my more eccentric friend’s described it as “Planet Earth’s flight deck.” This post describes what to expect from a visit to Stonehenge, how to get there and where to stay. Is visiting Stonehenge worth it? Stonehenge is perhaps the world’s most famous prehistoric monument. It is definitely the oldest man-made structure we have seen. The earliest structures in the immediate area are 4 or 5 pits that could have held pine totem pole like structures erected in 7500-8000 BCE. Much of the Stonehenge history is a mystery. The Henge was built in several stages: the first monument was an early henge monument, built about 5,000 years ago, and the unique stone circle was erected in the late Neolithic period about 2500 BCE. In the early Bronze Age, many burial mounds were built nearby. The large blocks of stone came from Marlborough, about 32 km (20 miles) away. The obelisk-shaped stones in the inner circle, the bluestones are granite and come all the way from a quarry in Wales. There is something quiet and reflective about the site – even with loads of people there. It was awe-inspiring to think about how long Stonehenge had been there, and the almost permanent changes to the landscape around the site. Stonehenge tickets can be purchased online for £16.50 or at the entrance gate of the Stonehenge Visitor Centre for £17.50. You will also find Stonehenge opening times there. You can also add a small voluntary 10% Giftaid payment which goes towards conservation and maintenance of the henge. There are also discounts if you are a member of National Trust or English Heritage. From October to March opening hours are 9.30am to 5 pm, and from March to May the closing time extends to 7 pm. Last admission to the site is 2 hours before closing – so arrive in plenty of time to make sure you can get in. When we were there several people arrived within that 2 hours before closing and were turned away. Once through the Visitor Centre gates you head off to the buses, they run every 5 minutes and will drive you the 2km from the Centre to the henge and back again. English Heritage also has an app which would be useful to download before visiting Stonehenge. The app will enable you to access additional information while you are walking around Stonehenge. We were advised at the ticket office to forgo the audio guide and use the app. There is an excellent exhibition at the visitor centre. It shows discoveries of relics from previous archaeological digs in the area and a 360° projection of what would have been the original Stonehenge with completed circles and lintel stones in place. There is also a mock-up of a Neolithic village. Visiting Stonehenge is an extremely worthwhile experience, There is something really mysterious about the area. The sense that the area has been inhabited for 10,000 years is truly remarkable. Stonehenge is located in Amesbury, Wiltshire in the South West of England. We think the best way to see it is by car. As we were housesitting locally we hired a car. To be honest we were taken by surprise when driving to Stonehenge when it appeared on the horizon – and seemed smaller than expected. But speeding by in a car plays with your perceptions! Our first glimpse of Stonehenge – from the road. There is a large car park at the Visitor Centre and depending on the time of year there is a fee. We had no problem finding a car park, but understand that at peak times there are attendants in place to assist and manage parking. Public transport is a good way to get to Stonehenge. This would require catching a train from London to Salisbury. It is a lovely train ride and enables you to see a little bit of the English countryside on the way. Once you get to Salisbury you can catch the bus from Salisbury Station. This also gives you a chance to see other sites like Salisbury Cathedral. If you are staying in Bath, the best way to get to Stonehenge on public transport would be to catch the bus to Salisbury and connect to the bus tour. Alternatively, you could take a tour directly from Bath. We hired a car for our Stonehenge trip. It was well worth it as it gave us the opportunity to come and go at the time we wanted too. Plus it also meant we could check out the surrounding areas (and have a great pub lunch in Amesbury). Of course, there are day trips on the bus from London, Premium Tours will take you there direct for £50+ including admission and an audio tour. 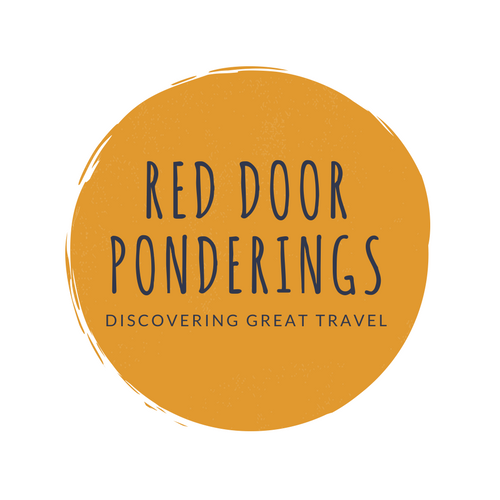 There are plenty of options for day trips which also include visiting Bath and Windsor Castle – they could be worth checking out if that is your preference – certainly would take any stresses out of finding public transport or driving on unfamiliar rodes. There is no accommodation at Stonehenge. Depending on how you are travelling there are several accommodation options nearby that are worth checking out. Salisbury to Stonehenge is about 20 minutes drive. Salisbury is a large town with plenty of accommodation options. By staying in Salisbury you can also visit the Salisbury Cathedral and Old Sarum, as well as heading out to Stonehenge. Here our picks for staying in Salisbury. The Stones Hotel is a reasonably priced hotel in Salisbury. The rooms are a reasonable size, and they also have the option to books ‘snug’ rooms. The hotel is centrally located, making it a good option for those wanting to do some exploring, plus there is free parking. Check here for the latest information. Stonehenge Cottages is located 5km from Salisbury City Centre. Stonehenge Cottages is a great option for those seeking a beautiful self-catering option. With its own terrace, kitchen, washing facilities, and log burner, this is a lovely option if you have a car. The rooms are bigger than most in the area and are also wheelchair accessible. Check here for the latest rates. For a touch of luxury, we liked The Gainsborough Bath Spa. The rooms at this hotel are big and luxurious. The added bonus of staying at this hotel is that you get access to the Hot Spring Bath (for an extra charge), along with the other top-notch hotel facilities. This hotel is within walking distance of the key Bath attractions. This hotel is a great option if you would like a touch of luxury and easily access Bath attractions alongside your trip to Stonehenge. Check here for more information. Harington’s City Hotel is an 18th century boutique hotel located on a cobbled Bath street. This hotel is privately run and has recently been refurbished, with the rooms looking comfy and welcoming. If you are looking for a personal, boutique style experience, Harington’s City Hotel could be a good option for you. Check here for latest rates. Amesbury is a stones throw from Stonehenge and about 15 minutes drive. It is a small town with a couple of accommodation options and with a short drive to Stonehenge it is a good option for accommodation. Fairlawn House is a good option with decent sized, clean and tidy rooms, and a restaurant/pub on site. Some rooms also have their own sitting area. A good option if you fancy enjoying a pint with the locals. Check here for more information. Robin Hill Cottage is a lovely little self-contained option. This detached villa is located in Amesbury, and is situated in a lovely garden setting. It has kitchen facilities and can sleep up to six people. A great option if you have a group who wish to get away from it all. Find out more here. Airbnb is always a great option if you have your own transport. We love Airbnb as we find it provides us with a home away from home when we travel. We use Airbnb a lot (once a month at least) and really enjoy it. Sign up to Airbnb here and get a $48/£25 discount off your first booking. 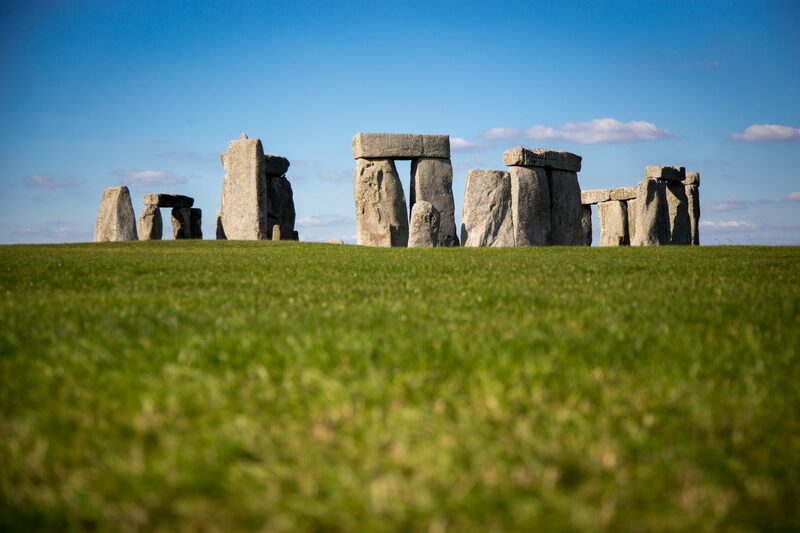 Stonehenge is an achievable day trip from London, so if you are based in London you could drive (2 hours) directly to Stonehenge, or catch the train/bus, or book guided Stonehenge tours from London. Us at Stonehenge. A few more people in this pic! Is Stonehenge worth seeing? It most certainly is. We went in the middle of January when visitor numbers were down. One of the knowledgeable English Heritage guides told us that only 1000 people had been through on the day we visited, compare that to 10,000 people a day in the height of summer. Regardless of when you go – it is well worth a visit. If you liked this post, please share (see buttons below) or leave a comment. Thanks! Thanks for your feedback. It is a great little day trip! Thanks for the great tips. We were in London last summer but didn’t make it to Stonehenge. I guess that gives me a reason to go back! Thanks. It is worth a quick day trip! It is the best to visit places off season! Always surreal to see such famous landmarks or monuments in person 🙂 Pinned this if I am ever in England. Off season is the best – we just went to Paris and there were no queues! You must – it is a good day trip.